Geraniums are great for outdoor gardening and they come in a wonderful range of colors and hold up in the heat of summer and it can survive even with limited water. 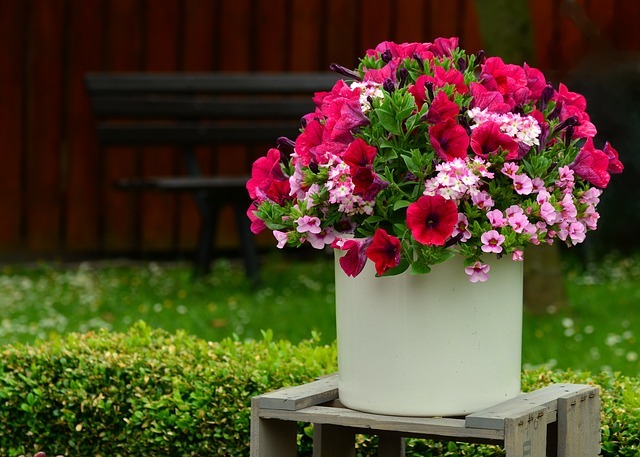 Geraniums that have been growing outdoors in pots make the best aspirants as their roots will not be troubled. Bring them in before frostiness and give the plants a light trim fit. Water when it gets dry and feed it monthly and they should bloom and it should be maintained be pest free. 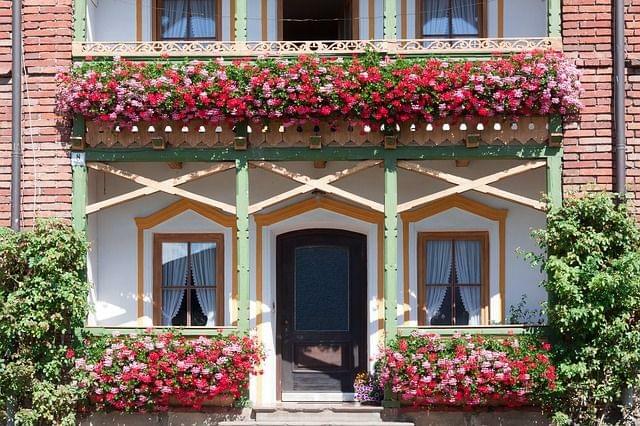 Begonias are becoming more widespread with plant breeders and many diversities make brilliant indoor greenery plants. It looks great with their unusual bright colors, patterns, and textures which will make nice houseplants. These plants also like warm soil and have a chance to dry out somewhat among watering. Petunias bloom in an apparently limitless range of colors which includes light lemon yellow, lime green, pink, and more colors. Almost all varieties are self-cleaning for untroubled color. For good results, we have to water and fertilize it regularly. 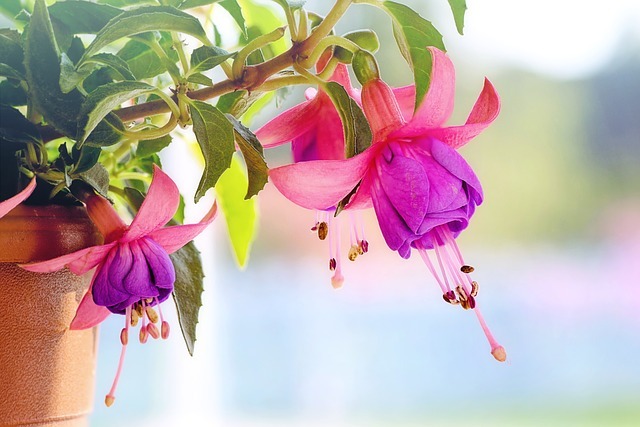 Fuchsias look very tropical, but they really like cool temperatures in the range of 60 - 70 degrees Fahrenheit. 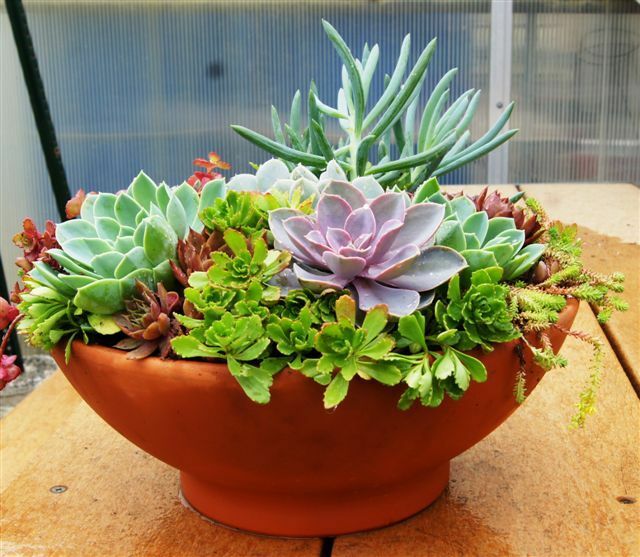 Place these plants in a cool spot ranging from 45-50 degrees F with low light for better results. Water it lightly only when the soil senses dry. In spring season move the plant back into a sunshiny spot and restart watering frequently so that new growth would start soon. Transplant with fresh soil and begin nourishing every other week. These are an adaptable group of plants and these sedums range from short ground covers to mid-size clattering plants. Once planted these plants require little care and you can just water if they look dry and cut back the plants after flowering to continue their shape. 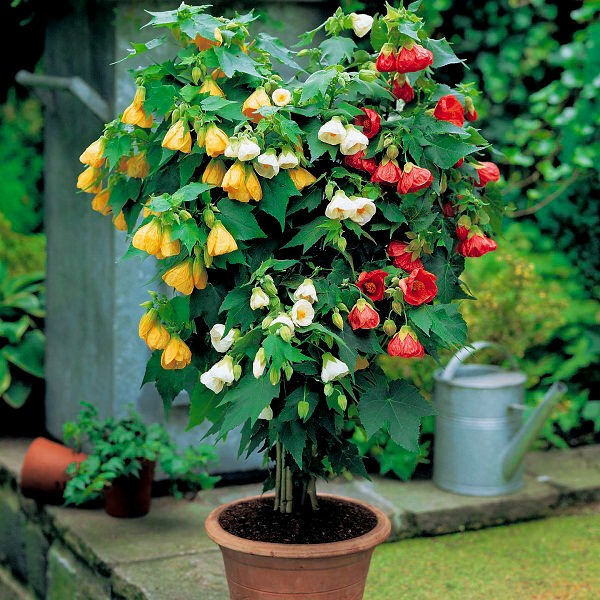 Abutilon is the flowering or parlor maple which is often grown in bottles or beds as a yearly plant but they are actually humid shrubs. Abutilon like bright sunlight from a south or west facing the window and it prefers warm temperatures of 65 degrees F or higher temperature. Often allow the soil to dry between watering and feed it every other week with a water-soluble fertilizer. It can be pruned lightly in the fall to uphold its size and shape. The plant will often bloom in early to mid-spring and maintain it pest free for better results. 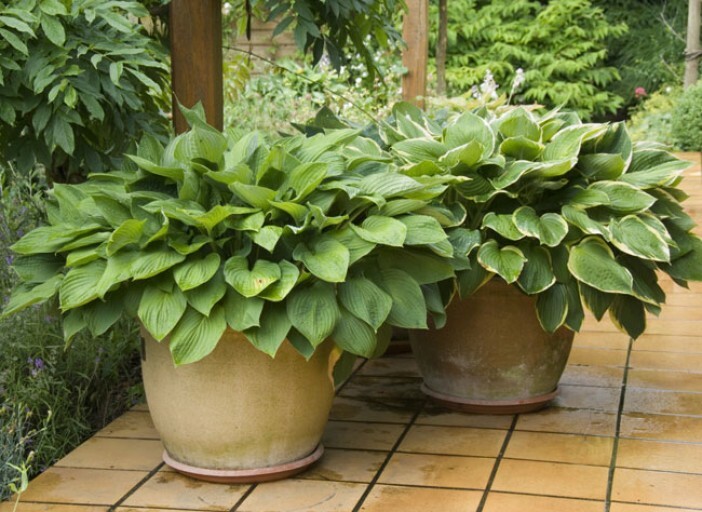 Hostas are one of the coolest plants to grow. The varieties range from accepting speckled sun to tolerating part sun. Colors range from pure green to yellowish green to blue-grey and beyond and it provides a great look. Caladium plants are often sold as tubers which are potted and sold as houseplants. Caladiums can tolerate full shade outdoors but these plants like secondary light indoors. Keep the soil moist often but not very wet. These plants do not like to be in very cold and survive well in temperatures ranging from 60 to 85 degrees F.